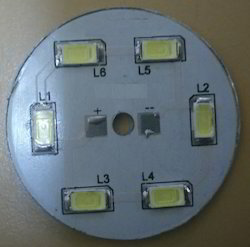 Owing to our strict quality policy, we have been able to bring forth Flexible LED PCB that gives you alternative solutions to LED lights. Offered products are checked at our end on various parameters of quality in order to deliver a flawless range. These products are designed using best quality material keeping in mind the set standards. Furthermore, our products are available in several specifications to choose. Looking for Solar LED Lighting ?